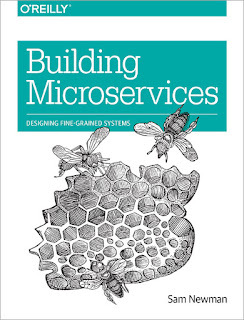 Building Microservices: Designing Fine-Grained Systems by Sam Newman is the seminal book on microservices as a concept. It was published at the start of 2015 (that's a long time ago in tech... or is it? ), it's focused on high-level topics rather than implementation and hence has aged well. There are in fact several concepts, both at the methodology and the technical level, that the books does justice to. Here's what turned on the light bulb over my head. Modeling is important and a whiteboard discussion can save weeks of implementation down the line. Both me and Sam Newman are not the first to say this. Modelling in microservices, like in Domain-Driven Design, is all built around business capabilities and the shape of your organization (yes, Conway). Like for other design choices, especially at the architectural level, it's important to explicitly choose whether to go for a shared database (please don't), synchronous or asynchronous communication; orchestration through a Facade or coreography distributing responsiblities between services; explicit versioning the kinds of backward compatibility; pushing or pulling data from one physical location to another, and with which granularity of time and entity. There are also styles of isolation, not just of integration: code reuse is maturely described on a trade-off scale with decoupling. It feels like a pattern book in which these options are given a standard name for further discussion, and evaluated with respect to the contexts in which they work well. Should you go for virtual machines or containers? How do you map services to physical or virtual machines? The book couldn't possibly keep up with the rise of container orchestrators in the last couple of years, so it won't be a complete guide but could give you a sense of the problems that virtual machines create and that we are going to solve in this next generation. What will be the problems that containers create, and most of all how to solve them, is not in the scope of this book instead. After the basics like a testing pyramid, I don't find myself in complete agreement with large scale testing strategies proposed here like consumer-driven contract testing. Yes, it works well enough if you can specify a formal contract that a service should adhere to, and test it in isolation in the implementer service. But the overhead of doing so, in a context in which we are supposed to create dozens if not hundreds of service, is very significant. At eLife we have relied on a wide RESTful API specification, each group of endpoints implemented by a different service. As such, the overhead is limited, and this is just a description for validating requests and responses rather than a full contract, as most of these services are read-only. All in all, I find myself relying on the end2end beast to get heterogeneous services, written in multiple languages, in different times by different people, to talk together reliably. I would spend a lot of energy in trying to square the circle of contracts, but I suppose they work well at an higher scale of traffic or on selected services. The problems that we encounter daily happen in production all the same: timeouts, dirty data, the automation challenge of turning on and off new nodes reliably, the race conditions that come from distributed executions. I'd rather not hide these problems but solve them, and I'm looking at containers instead to try to shrink the big picture and have a simpler end2end environment, easier to spin up and down, or to provide with clean databases. There are several hidden gems that would let you pick the brain of the author on a common problem cited in a chapter. For example, we have such a problem in integrating with a CRM that doesn't even support PHP 7 (what is it with CRMs and always being sources of technical debt?) There are some example patterns that you could apply in that situation, like hiding the CRM behind a specialized service that cleans up its API. Nothing miraculous, but a glimmer of hope for these desperate situations. If you are going to work with microservices, or milliservices, or small enough services, this book is worth a read. 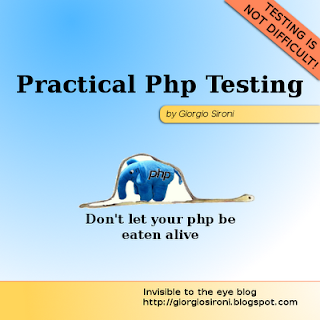 If you are only having troubles with a particular area, such as testing or security, going through a single chapter will give you a big picture before you go in depth with further sources. Remember that this book is starting to become a bit dated, so you cannot take highly technical lessons from it (and I doubt books are a great tool for those in general in this fast-moving environment). Think about your context, learn the theory, and fill in the parts in which the map is blank (or erased) with what you are learning from the web in 2017 (soon to be 2018 - attempt to make this review valid for one more year).